A rocky first year for Sony's download only handheld is ending in a slightly cheaper future. Sony has announced that it is cutting the price of the PSP Go in Japan and the United States in time for the holidays. The US price will drop from $249 to $199, and the Japanese price will drop from ¥26,800 to ¥16,800. As yet, there's no mention of a price cut in any other territories. 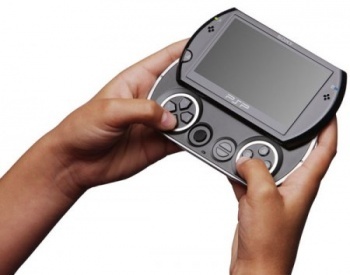 The PSP Go launched a year ago, and has seemingly found little success since then. Retailers in Australia and Europe boycotted the device, and a U.K. based online retailer called the machine "dead on arrival." While Sony has never released any official sales figures for the PSPGo, comments made by SCEE's Andrew House earlier in the year about how Sony had learned a lot from the PSP Go and how that was something you couldn't measure with sales, implied that the numbers weren't huge. The price for the PSP Go has always been a little too high for what you got, thanks to Sony charging a "premium" for the device, so dropping it might be a last-ditch effort by Sony to give sales a boost. There are also the rumors that the PSP2 is on the horizon, which would be another reason that Sony would want to shift old stock. Either way, if you're in the market for a handheld gaming device that accepts almost no forms of physical media, then this would appear to be your lucky day.